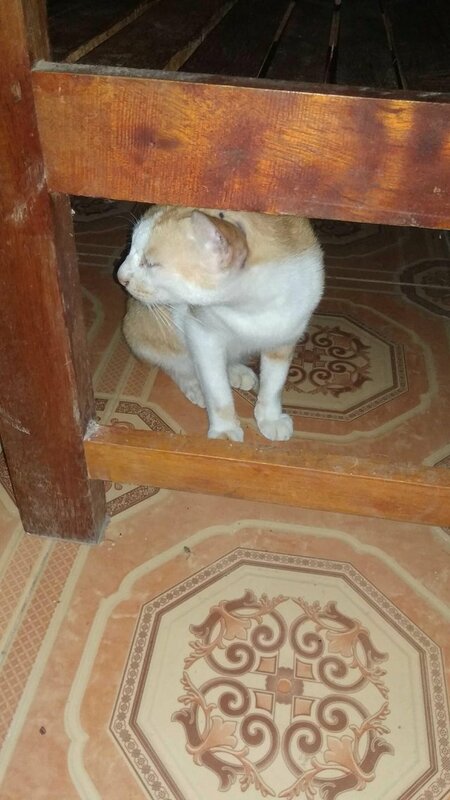 One of my cats is hiding under the table. Cats is of home-grown animals, because cats are one of the sacred animals and want to maintain cleanliness, Unlike other pets that can be relied upon in other respects, but cleanliness is not guaranteed..
Of course this is my personal opinion, I do not want to fight with anyone, everyone certainly has their own opinions..😁. 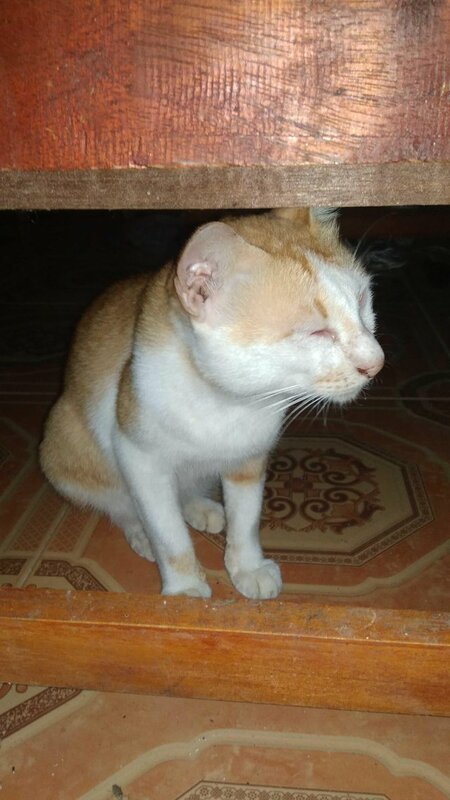 As one of the animals that can be relied on, of course we must pay close attention to the survival of cats and not let them be ignored..
We have to give it food even though we ourselves have difficulty getting food, at least we have to give the rest of the food we eat for it rather than throwing it into the trash can. 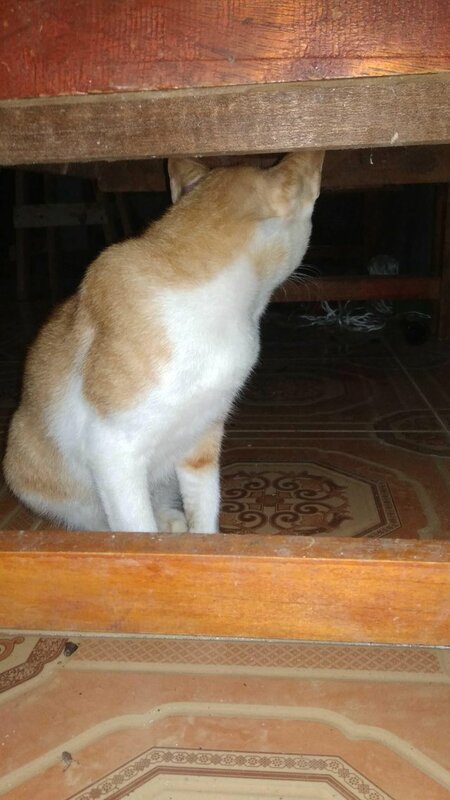 Cats are animals that are loved by the Prophet, and we are forbidden to hurt them because these creatures are one of the noble beings ...,. Many words (hadis) of the prophet about the benefits of cats for human life .. 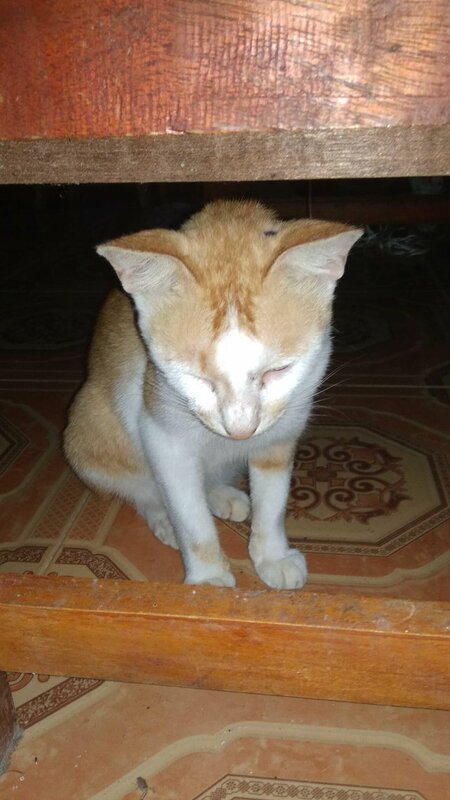 Therefore we should like cats and don't hurt them at all, let alone kill them when they disturb us like taking fish in the kitchen. 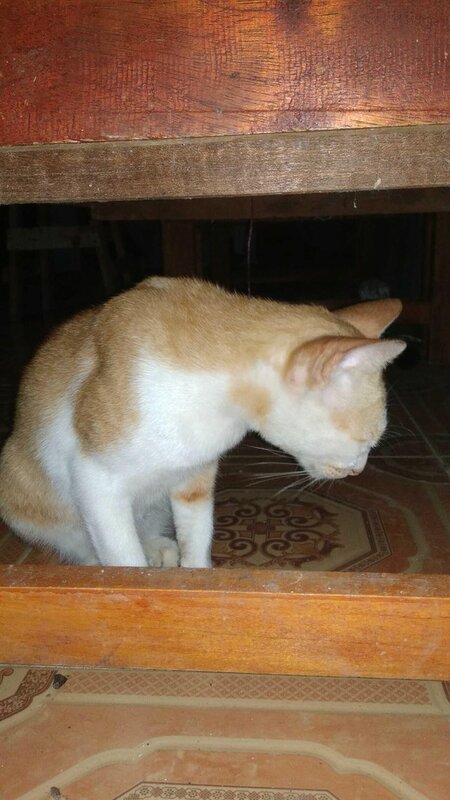 This certainly does not make us continue to hurt him, with the condition that he hiding under the table is enough for us to pursue him, because he must be sorry to have done something wrong by taking fish in the kitchen ..😂. 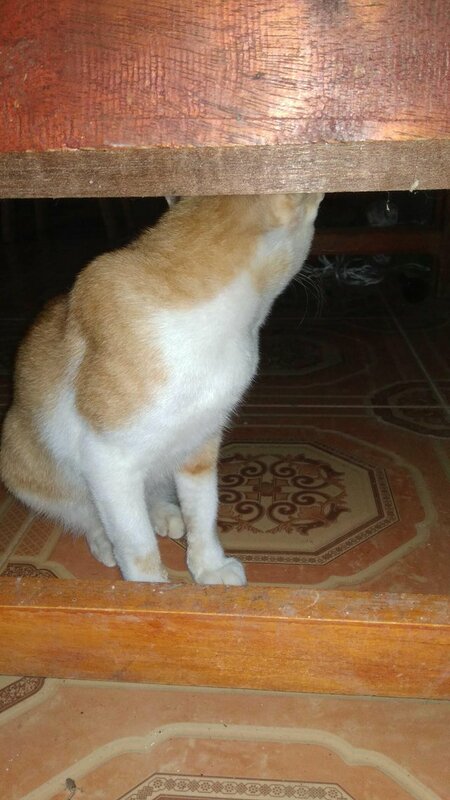 Only this of all about my cat that hiding under a table, later I will continue again, now I want to watch a soccer match. Have fun for all of you,have a nice day.. Thank you @steemitboard for your information. You got a 33.33% upvote from @whalepromobot courtesy of @alpayasteem! @alpayasteem purchased a 5.73% vote from @promobot on this post. You got a 50.00% upvote from @sleeplesswhale courtesy of @alpayasteem!